Transfinder University is Coming to a City Near You! For more information on a class that you would like to attend, please click the map marker at the location you wish and complete the short form. We will get back to you shortly with more information. 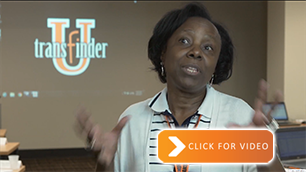 We are proud to offer yet another way for our clients to learn how to use Transfinder’s solutions through a variety of training resources called Transfinder University! Our philosophy is to conduct training programs that enable our Clients to improve in their effectiveness on the job. We believe that training should be relevant to the needs and experiences of our Clients. Our goal is to provide a balanced curriculum that includes professional and technical skills. We also believe good training is interesting, enjoyable, challenging and practical. We facilitate the learning of the attendees by using professional training methods, well-designed materials, coaching and reinforcement techniques – all with genuine enthusiasm mixed throughout. Transfinder University is an intensive three-day session. The hands-on, instructor-led Routing Software Proficiency course and the Routing Operational Strategies course are offered at Transfinder’s headquarters in Schenectady, New York and also at our satellite office in Austin, TX. Adding to our popular Transfinder University course list, the Routing Operation Strategies class is the next step in becoming more proficient in Routefinder Pro. The goal is to enhance product use, not just product knowledge. The class covers daily and monthly considerations that will keep your routing running smoothly throughout the year. This structured curriculum held at Transfinder allows clients to focus on training without being distracted from day-to-day issues. Clients will leave this training equipped with know-how and experience to take back and use at their district. For more information on Transfinder University or to register, call 888-427-2403 or email marketing@transfinder.com. Put Transfinder U in the subject line.